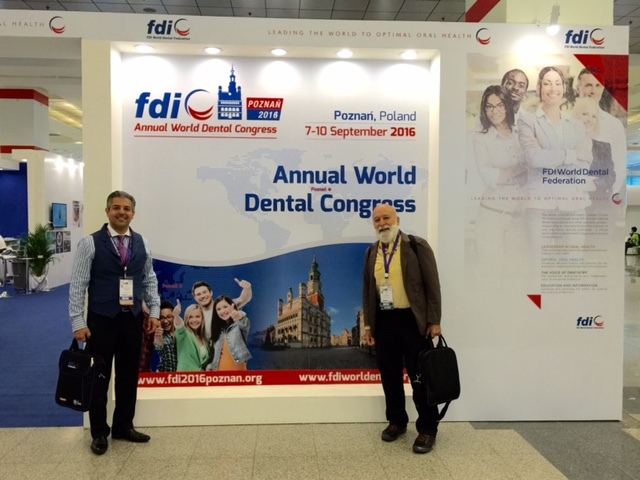 Dr. Jack Dillenberg and Dr. Tony Hashemian arrive at FDI for their presentations. 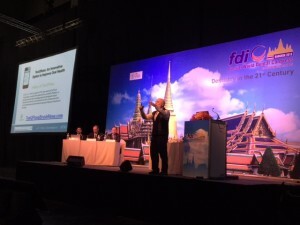 This year’s theme at the Bangkok Annual World Dentist Congress was “Dentistry in the 21st Century.” Dr. Jack Dillenberg spoke as an invited presenter in two sessions. These included the Caries Prevention Workshop and the panel discussion on Minimally Invasive Dentistry. Dr. Jack speaks to a full house during the panel discussion on Minimally Invasive Dentistry. While there, he participated in several meetings with the leadership of the American Dental Association and various corporate partners and supporters of ASDOH. 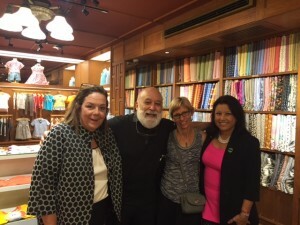 Responses to the sessions and corporate meetings were very positive and supportive of future collaboration with PH2OH, in particular, and ASDOH’s interprofessional education programs as well. 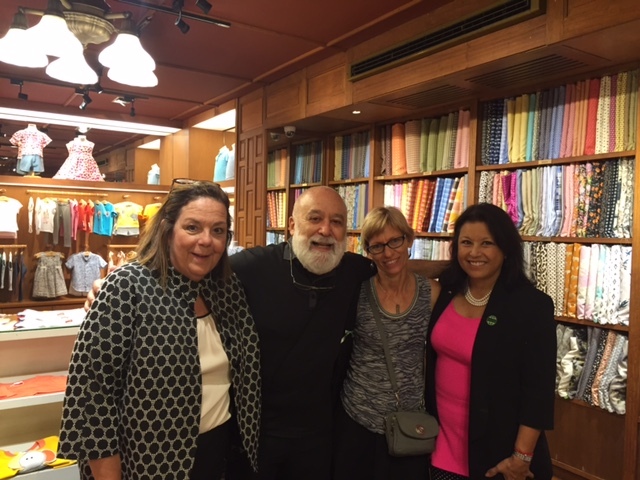 Guess who Jack caught shopping at Jim Thompson’s? ADA President, Dr. Maxine Feinberg and Dr. Carol Summerhays, ADA President elect, that’s who! 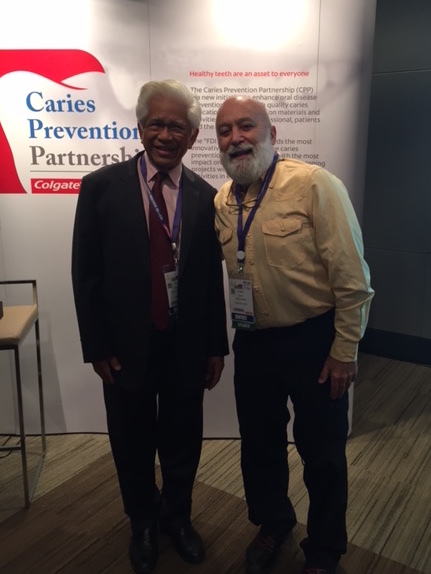 Dr. Jack and Prof. Prathip Phantumvanit join other experts at the Colgate workshop on caries prevention.